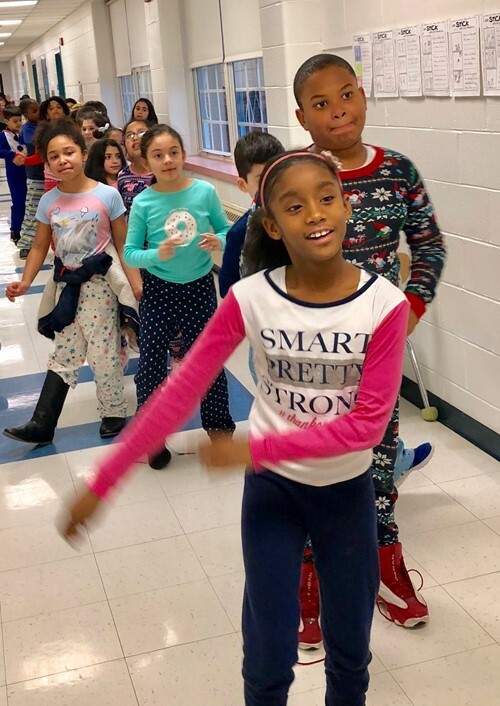 Each month students learn new dance moves and a school wide Respect Dance is performed on the Lucy Avenue lawn or in the hallways. Prior to dancing students and staff recite the Respect Pledge together. Dance moves are choreographed by Ms. Bagnuolo, Physical Education Teacher.